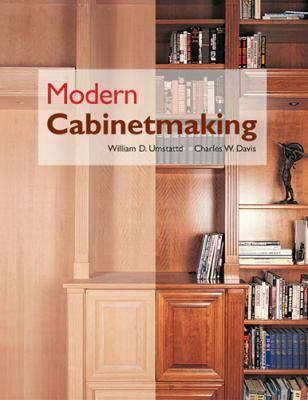 by Umstattd, William D., Davis, Charles W.
A comprehensive text that covers cabinetmaking and woodworking techniques employed by custom cabinetmakers and home woodworkers. Content follows the logical order of the design and construction process and is accompanied by numerous illustrations. In addition to traditional materials and procedures, the chapters discuss the advances of technology for woodworking, including manufactured panel products, 32mm construction, European hardware, ready-to-assemble casework, plate joinery, and other innovative topics.Umstattd, William D. is the author of 'Modern Cabinetmaking', published 2005 under ISBN 9781590703762 and ISBN 1590703766. Loading marketplace prices 20 copies from $2.04 How does the rental process work?